Decide which category of skis and boots is right for you from the list below, and then delve into gear heaven. A pair of these versatile boards should be at the core of your quiver. They’re ready to handle most conditions, most of the time. Are you? You’ve heard it before: Fat skis work only in powder. And now you’ve heard this: It’s a bunch of crap. Big-mountain skis have become versatile sticks, ready for anything in the West. These are the season’s best carving skis. Easterners – or anyone who enjoys arcing face-flapping turns down groomers – look here. If you can legitimately use this ski for everyday skiing, you’re probably a heli guide. For the rest of us, these skis are reserved for two-foot dumps or more. You like to hit everything on the mountain, but you don’t want a ski that’ll overpower you. Look no further. These skis will go anywhere. You aren’t an expert, but last season you linked a few perfectly carved turns. Now you wake up at night breathless from dreams of scribing clean parabolas down virgin corduroy. These will help. You hit the park but only after the pow is tracked. So you need a ski that won’t let you down on rails but can handle the rest of the mountain. These are for you. These skis hold an edge in the pipe, ski solidly in reverse, and don’t act like sails when you leave the ground. The stiffest, baddest boots readily available to non-World Cuppers. 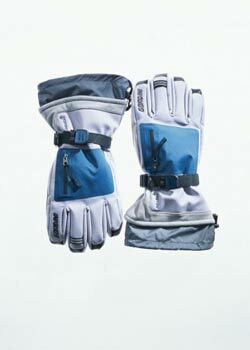 For expert or strong advanced-intermediate on-piste skiers. Precise, expert-level boots with freeride-specific tweaks. Frontside- and freeride-style boots for expert or strong advanced-intermediate female on-piste skiers. Award-winning frontside slayers from Skiing's 2013 Gear Guide.